Atami City was created due to the erosion of a large terrestrial volcano called the Taga Volcano, its steep slopes dropping precipitously to the seaside add to the charm of this hot spring resort area. 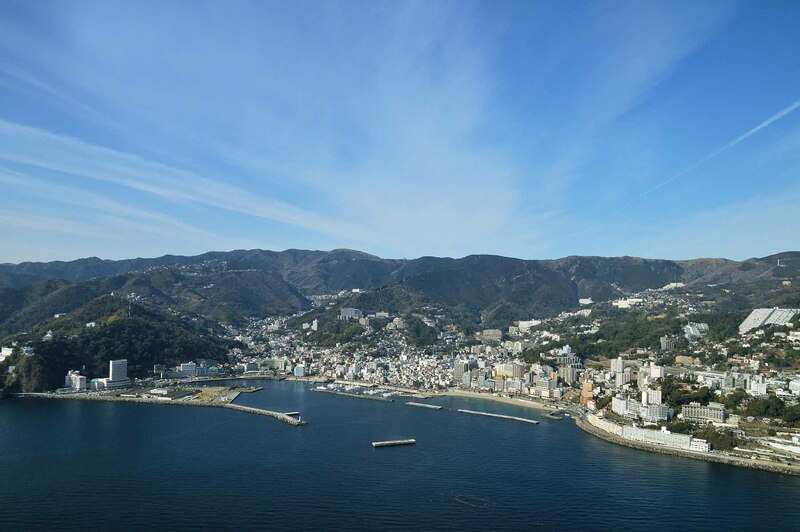 Left: Atami City panorama. Hot springs, sea, and the Tanna Tunnel are some most popular tourist destinations. 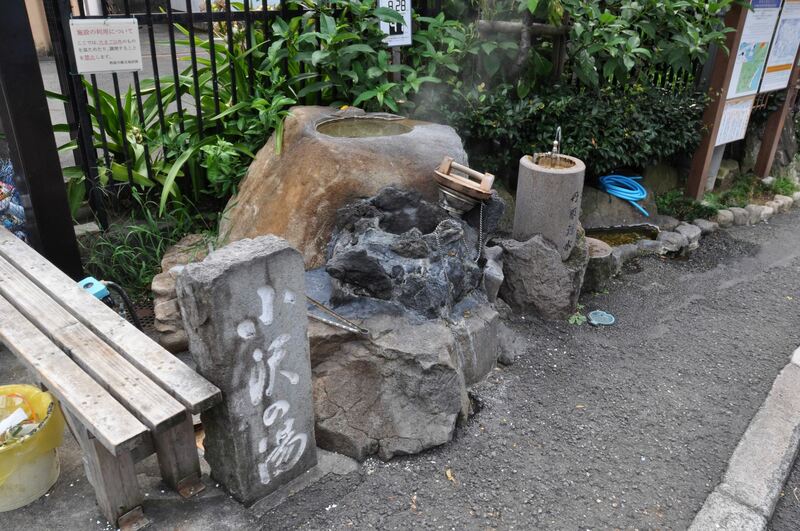 Right: Kosawa no Yu Spring of Atami. One of the Seven Famous Springs.